In July 2018, The governments Department for Environment Food and Rural affairs (DEFRA) released an action plan for surface water management. The plan creates an ambitious vision for an understanding of the risks and developing the capability of those responsible to manage them effectively. Martin explained how Wavin has been instrumental in promoting a sustainable approach to drainage through its early innovation with rainwater attenuation units and its ongoing work with Susdrain, an independent online community that provides resources for those involved in delivering sustainable drainage systems. He highlighted how Wavin’s innovative stormwater management products including Q-Bic Plus and AquaCell are combined with landscaped SuDS features such as swales, ponds and filter strips to provide a complete solution on urban building projects. The development of the action plan for surface water drainage has been overseen by the inter-ministerial Group on flooding and they will also monitor ongoing progress towards the actions detailed in the plan. The plan is driven by the governments commitment to considering issues relating to surface water flooding as part of the National Flood Resilience Review and the addition of surface water flooding in metropolitan areas as a new risk in the National Risk Register. The government is investing 2.6 billion over 6 years from 2015 – 2021 to manage costal erosion and flooding risk. 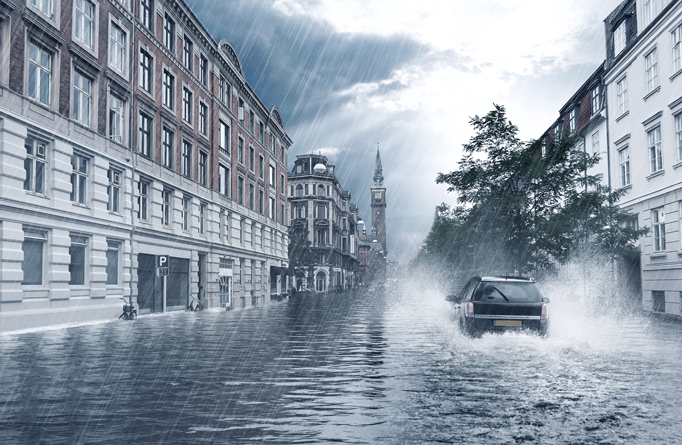 Read our latest whitepaper ‘The role of stormwater management in building a sustainable climate-resilient city’.